ICAR - Directorate of Medicinal & Aromatic Plants Research, Anand published an official notification for Recruitment of Jr. Research Fellow posts. Eligible candidates can apply for this recruitment. You can view more details about this recruitment including No. of posts, name of post, Educational qualification, Age limit, Selection process, How to apply etc... You can also view official notification and other important facts about this recruitment e.g. Important links and Important dates. 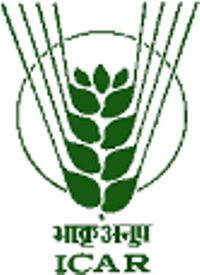 JRF: Master degree in Agriculture / Agronomy / Soil Science / Chemistry with 4 years Bachelor's degree or Candidate with 3 years bachelor's degree and 2 years master degree should have NET qualification. JRF: Master degree in Agriculture / Chemistry / Organic Chemistry / Agricultural Chemistry / Agricultural Chemicals / Analytical Chemistry / Pharmacy or related field with 4 years / 5 years Bachelor's degree or Candidate with 3 years Bachelor's degree and 2 years master degree should have NET qualification. The Candidate should bring with them the original certificate and self attested photocopy / xerox of all the certificate for verification in support of Age, Qualification, Experience, Caste, Employment Exchange Registration Card and 1 Passport size photograph to be enclosed with prescribed application while appearing for walk in interview.